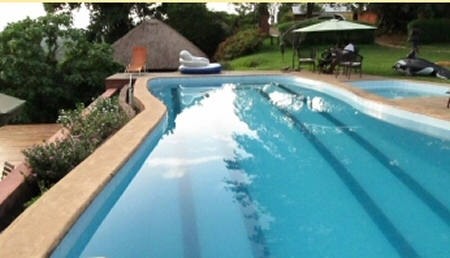 Ndali Lodge is beautifully situated in the heart of the Bunyaruguru Crater Lake part of the Western Uganda. 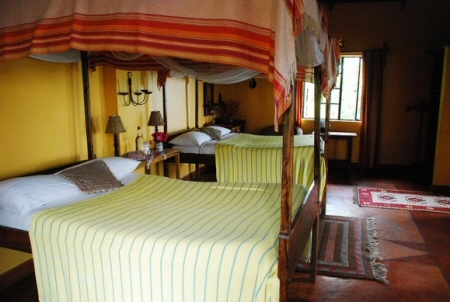 It’s about 24 kilometers south of Welcome to Ndali Lodge KibaleFort Portal; it covers an area of about 1000 acres of farmland cultivated in an African style. 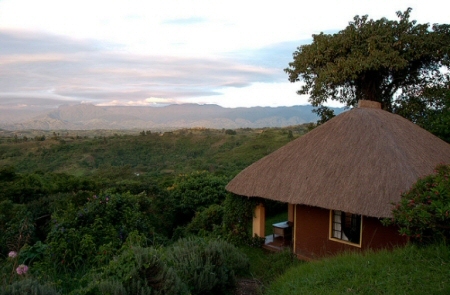 Ndali lodge lies on the rim of an inactive volcano that formed the magnificent lake Nyinambuga. As you are dining, you will enjoy the decorated candles and the serenity of the environment. Whether at the sitting area or reception, you will delight in the beautiful view of the lake. Breakfast is usually served on the veranda as you enjoy the scenery. Their meals are well prepared by an expert chef. They offer both local and international cuisine. 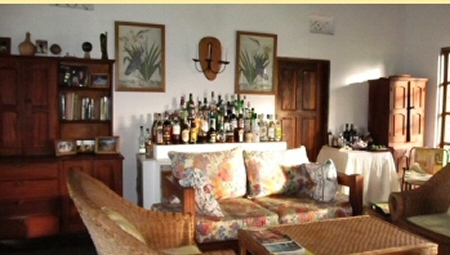 They have a fully stocked bar with a wide selection of wines and spirits that you can enjoy along the pool side. 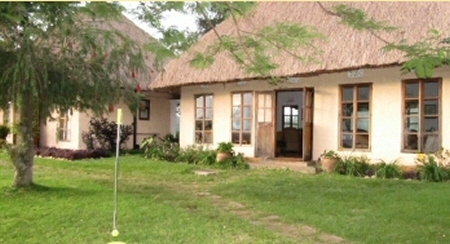 The main lodge is thatched with a dining area, sitting room and a reception. 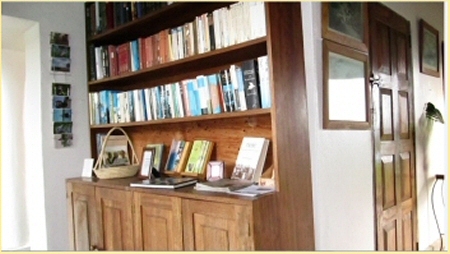 It has 8 cottages offering lavish accommodation for 16 guests. The Enjoy the beauty of the main lodge cottages are strategically positioned with an overview of the magnificent Mountains of the Moon. The interiors are creatively and beautifully furnished, the decoration highlighting the use of local materials to bring out the African style. 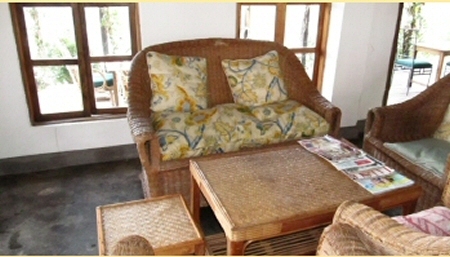 The cottages are spacious to accommodate a family. 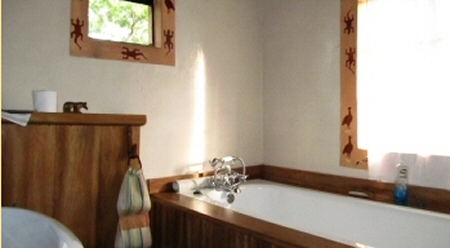 It has facilities such as bathrooms, showers, hand basin as well as a secretive verandah overlooking the Rwenzori Mountains. You can clearly see the snow-capped peaks that will surely brighten your day. 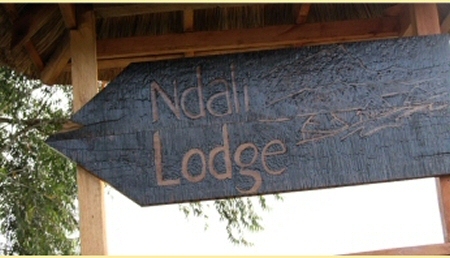 The staff is well trained and friendly to make your stay comfortable.Visiting Ndali lodge will give you a chance to encounter the natural wonders of Kibale Forest.